The Pina Colada is a fantastic drink that is requested quite often at the bar, though not all bars make them properly. Pina Colada is Spanish for strained pineapple (pina, pineapple + colada, strained). It is a semi-sweet cocktail containing rum, coconut cream and pineapple juice. This is definitely one of my favourite drinks but I find that there is too much variation in how this drink is made. People are quite disappointed when ordering this at a bar because it isn’t made properly. The most common problems are that the cocktail is too watery, not sweet enough or too sweet, the ice chips block the straw or if cheap bottled mixes are used, can have an artificial flavour. Like any great cocktail, ingredients and balance are the keys. A good white rum is a good starting point. Bacardi rum works fine and would be traditional, but using a brand with more flavour can make a more appealing drink. I’ve found Appleton white rum works nicely, but any quality white rum will work. As for aged rums, they can work but sometimes they can skew the flavour in an unfavourable way. 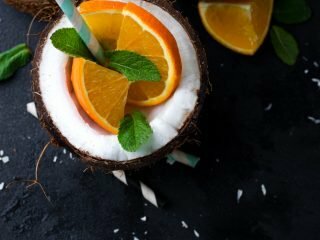 The key flavours are coconut and pineapple, obviously and putting an aged rum will cover up the rums nuances and interfere with the fruity pineapple flavour. Fresh pineapple juice is the best way to go, but canned juices work as well and are more widely available. Some of the canned juices have added sugar, where fresh pineapple juice can be more tart. Take this into account if you purchase the canned product and it has added sugar, a little lime juice can help balance this out. You can also just blend chunks of fresh pineapple right into the drink, but the texture may not appeal to everyone and it can be quite a workout getting this mixture through a regular straw. 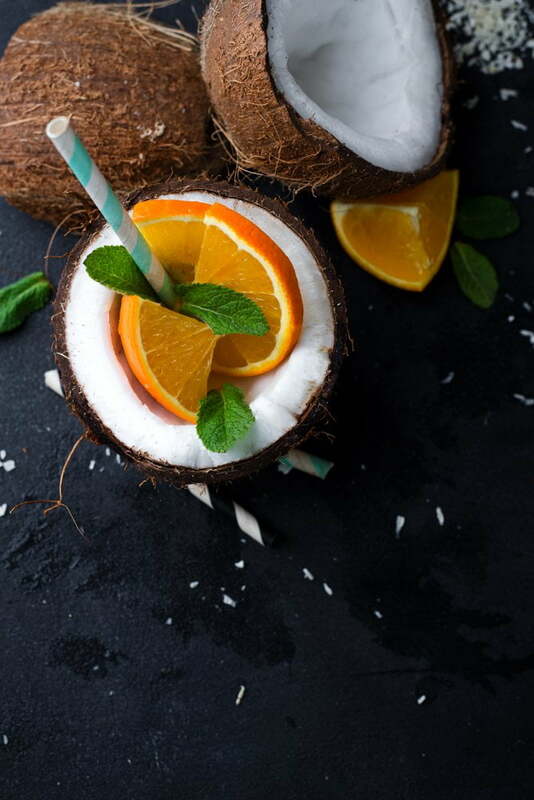 Coco Lopez is the original cream of coconut used in the Pina Colada. You can often find bottled coconut mixes but I’ve never found anything comparable to Coco Lopez, except homemade cream of coconut, works extremely well and tastes better with no additives. Most modern bottled products have an artificial flavour that makes the drink smell more like suntan lotion than fresh coconut. As mentioned, balancing the flavour is key to this drink. An overly sweet drink can be unpleasant, and a squeeze of fresh lime juice can add some brightness. Coco Lopez is great but is mostly sugar, so if you want to balance out some of the sugar you can also substitute in a portion of coconut milk, which I’ve used to great effect and actually now prefer, especially if you use an ice-cream maker to make them. One of the finest tropical cocktails around, the pina colada is sweet, refreshing and best enjoyed under bright sunshine on a sandy beach. 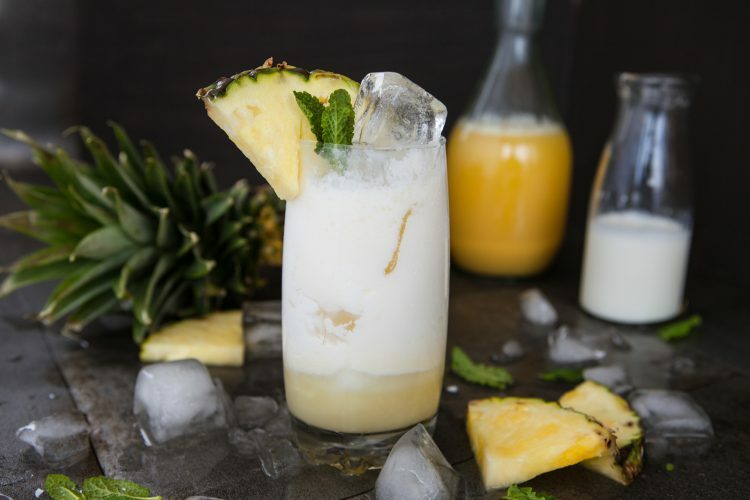 If you are going make a batch of Pina Coladas, keep your rum in the freezer and the pineapple and coconut milk in the fridge so when you add them to the ice they won't melt it as quickly. This makes a really smooth drink that doesn't separate out into a drink layer and an ice layer. Normally the recipe for the Pina Colada will state “blend ingredients with crushed ice and serve”. I think this is the biggest problem with the variability in this cocktail is because some bartenders just mix it in a cocktail shaker, while others don’t blend the cocktail adequately. The Pina Colada is at its best when blended with crushed ice and chilled ingredients to get a perfectly smooth texture. One well-received experiment I have tried is using an ice cream maker to make frozen Pina Coladas. This may not be practical behind the bar but is fantastic for small gatherings. By mixing it in the ice cream maker you produce small ice crystals that have a milkshake quality to them. Personally, I think this has been one of the best improvements to the recipe. The end result is a very smooth and refreshing cocktail. So give it a try because I think you’ll be pleasantly surprised with the end result. If you are not into alcohol or rum, a non-alcoholic version can be made easily using pineapple juice, coconut cream and coconut milk. The problem can be that the drink lacks the bite that rum brings and the virgin variation can be overly sweet. There are multiple solutions to this minor problem. Make sure you use unsweetened pineapple juice and add some lime juice to give the drink some acid. Another option is to add a few dashes of Acid Phosphate to give the drink a bit of a spark. It really does work.